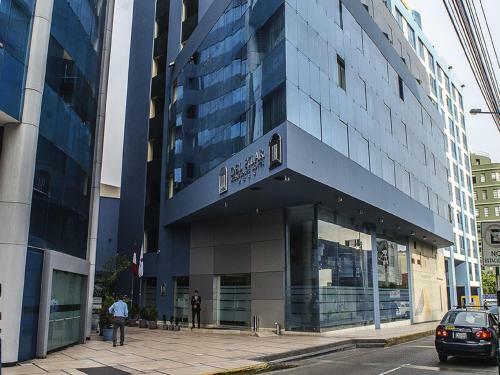 The Cirsa Group has a subsidiary in Miraflores, a district of Lima, capital of Peru. The Jokers Casino Cirsa Miraflores is hosted by the Hilton Doubletree El Pardo Hotel. The four-star hotel has two restaurants, a sauna, a swimming pool on the top floor, a gym... The decorated rooms and suites are spacious and comfortable and are suitable for families, businessmen, groups or couples. At the casino, no less than 153 slot machines are available. Live music, exclusive show, promotion, free parking are some of the privileges offered by the casino. Lima is the vibrant capital of Peru. with a population of nearly 10 million, it is also the fifth largest metropolis of the Latin America. Thanks to an exceptional heritage from the past, Lima features some wonderful landmarks that amazed the visitors that come year after year. The tradition is everywhere, from the restaurants to the architectures. You won't miss the Cathedral of Lima, built during the 17th century in a unique colonial baroque style. Lighting up at night, it is gorgeous. The Centro Historico is also a jewel listed as a world heritage site by UNESCO in 1991.